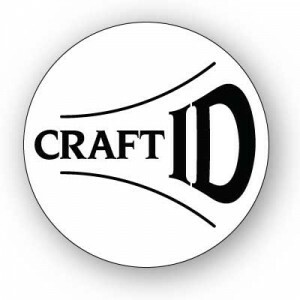 Really stand out by including your business logo or custom image on your CraftID signature medallion. The best logos and images are those that will be successfully rendered in these small sizes. Try printing your image or logo on paper in a size that would fit on your CraftID. This should give you some idea of the detail that you will see and what you might lose at this small scale. We can scan your print image or logo. We can also use your raster images in JPEG, GIF or PNG format if they are at least 300 DPI (dots per inch) or at least 6” by 6” or larger. Digital vector images (formats such as Adobe Illustrator AI, CorelDraw CDR, Encapsulated Postscript EPS, and PDF usually will work) are our preferred image sources. If in doubt contact us ahead of time and we can review your logo or image and advise you on how successfully it migth be laser engraved.